Ruskin Park is situated in Denmark Hill, Lambeth, London, England. It was opened on 2 February 1907 with an area of 24 acres and in 1910 a further 12 acres were added on the south side of The Park. It is named after John Ruskin (1819 – 1900), who lived near to the park. Here's the our members favorite photos of "City Parks near London Borough of Lambeth". 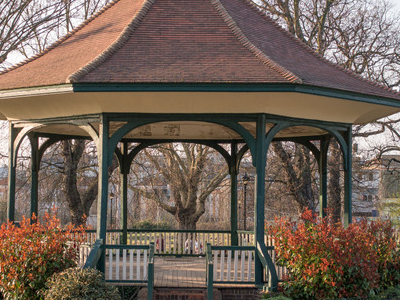 Upload your photo of Ruskin Park!